Reimers also kicked the stack against Suns. You mean the one between his ears? 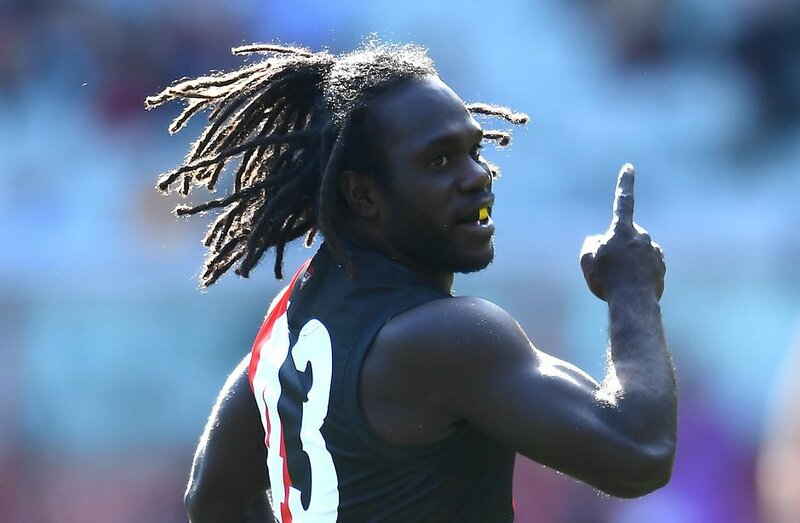 Excitement machine Anthony McDonald-Tipungwuti takes this round's Hankook Performance of the Week following this clinical performance against the Lions. IT ALL SOUNDS LIKE FOOTBALL TO ME, TO ME! Walla is our man - 3 or more goals and we pretty much will win. 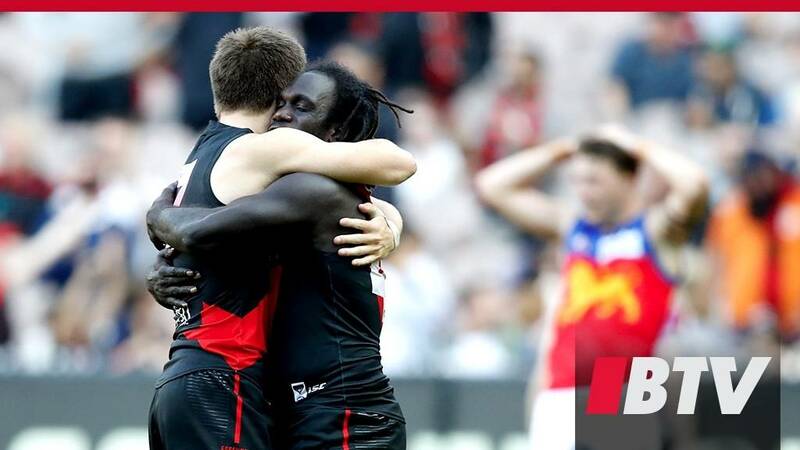 WATCHING Anthony McDonald-Tipungwuti light up the MCG with seven goals on Saturday afternoon was an Essendon diehard’s dream. That career-best effort at Brisbane’s expense followed his four majors the previous week against Melbourne at the same venue. Not so coincidentally, both of those solo ‘Tippa’ displays resulted in Bomber triumphs – and it’s a trend his coaches might want to become familiar with. 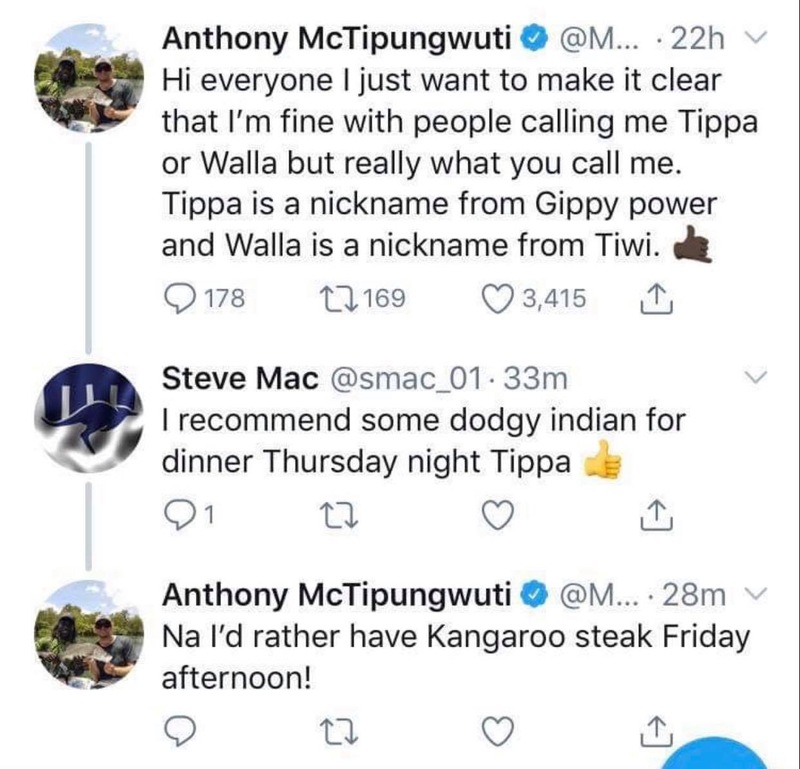 The 171cm speedster from the Tiwi Islands first established himself as the Bombers’ barometer when they signed off the 2016 season with a victory, including four McDonald-Tipungwuti majors. However, in a quirk, Essendon’s big-name spearhead Joe Daniher can sometimes have the opposite effect on his team’s fortunes. Does that make them the firestarter or a downhill skier? That’s for others to decide. 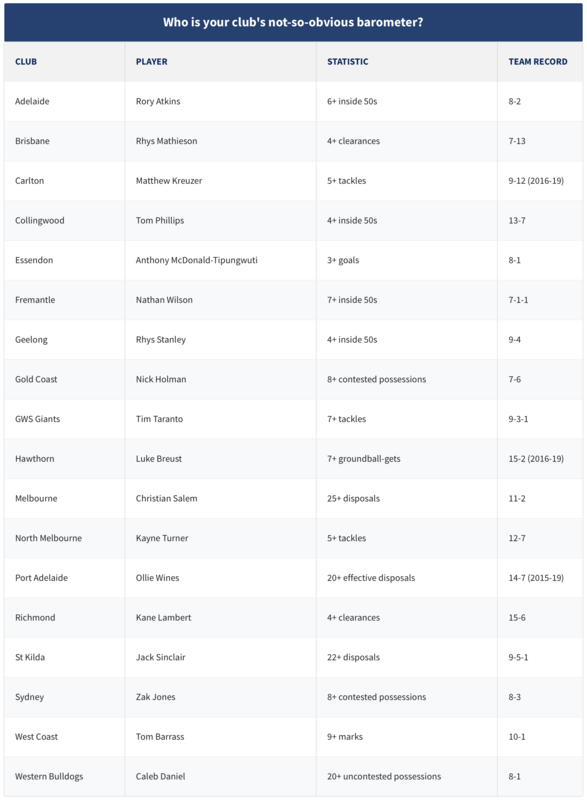 AFL.com.au , with help from Champion Data, has identified the individuals who fit that definition at your club. Some of the correlations are better than others, with Demon Christian Salem (disposals), West Coast’s Tom Barrass (marks) and Bulldog Caleb Daniel (uncontested possessions) among the strongest. The Lions and Blues options therefore have negative records, although at higher rates than their side’s win-loss ratio in recent times. Gold Coast’s sole loss in 2019 came with the tireless Holman out of the line-up. The average team scored 12.8 goals and 11.2 behinds in the first four rounds last year, whereas this season it’s 11.7 goals and 11 behinds. It’s hardly breaking news that Carlton co-captain Patrick Cripps carries a heavy load at the Blues, but his feats continue to amaze. His performance against the dees wasn’t a solo effort, just saying. Anyway I don’t think a single bomber fan would be surprised but the correlation between tippa’s good games and our winning %. 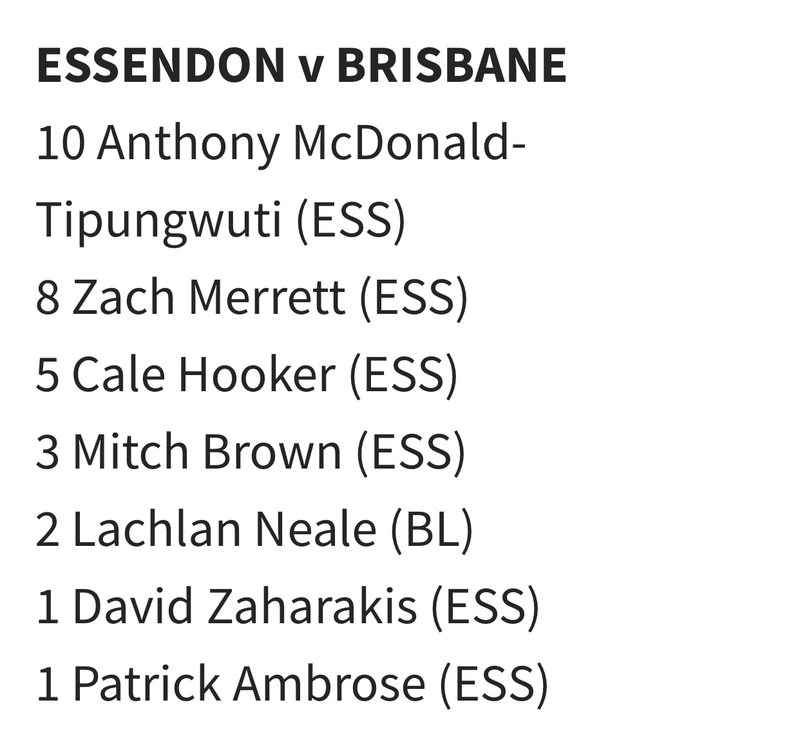 Equally no one here will be shocked that we tend to lose when daniher is inaccurate. From memory, the one loss was when he kicked 4 against Adelaide in 2017. I love that for Carlton they had to go for something so random (Kruezer 5+ tackles) and they still can’t get a positive on the win loss ledger.